COLAGE has single-handedly shaped my life. It set the trajectory for my life’s path. I owe it to COLAGE for politicizing me and pushing me to be more socially and politically conscious. So, imagine this: You are a kid with (a) queer parent(s), and throughout your whole childhood, you are growing up in a conservative area of the country. The time period is between 2007 and 2011. (So keep in mind there were only two states out of all 50 that had legalized gay marriage at this point — this was before the mainstream LGBTQ movement came into full force.) No one knows about your parent(s). And even though you are not ready to tell anyone in your school or any of your friends about your family situation out of fear of being bullied, you actually feel obligated to tell your friends before they come over to your house so they won’t be surprised or uncomfortable. So they can have this piece of information and then decide if they actually want to spend time with you outside of school. Then imagine going to the beautiful Provincetown, Cape Cod during Family Week where around every corner you see gay and lesbian couples holding hands, jubilant kids running around, laughing, and playing, drag queens parading the streets in flashy attire. And on top of that, you get to be part of this inclusive and magical community where every. single. person. in the room also has (a) queer parent(s). What a radical change from your life at school. COLAGE and Family Week was my safe haven. I no longer had to be silent, censored, and forced into telling anyone anything. I could speak freely about my family — my whole other life at home. The staff members at the time also stressed that none of us queerspawn kids had to come out about our family to our friends until we were ready. This teaching felt like my agency was given back to me. 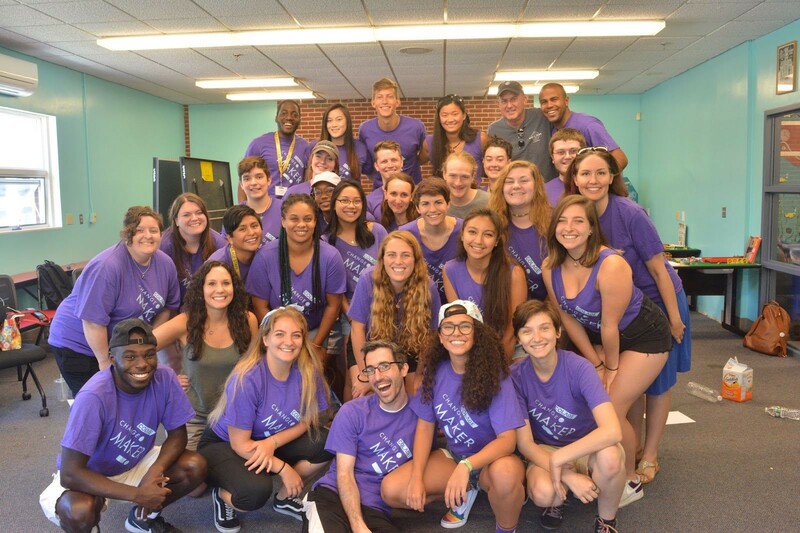 A place where I felt loved, safe, and included, was the best place for me to first learn about social justice, widespread oppressions, and activism. Because I believe that’s what is at the core of thoughtful community organizing — valuing every person’s humanity no matter who they are. What a better place to learn about these revolutionary ideas than in a place where I felt like for once, my entire humanity — my entire life was loved and valued? Discussing racism, classism, transphobia, and ableism started happening when I was a youth in COLAGE. Not to the point where it shook my world but to the point where it crept into my mind, slowly but surely, preparing me for a radical shift in my life and politics. When I was a youth, I always dreamt about being on Staff, but never thought that time would actually come. But guess what? It did! And it is amazing. Being an adult COLAGEr and especially being on Staff is a great feeling. I love that I can give back to the community that gave me so much, and continues to provide me with support. I love that everyone in our Staff community truly wants to make the world a more just and equitable place. I love that still the point of connection for all of us is that we share the identity of being queerspawn. But most of all, I love that being an adult COLAGEr and being on Staff is a safe place where I am continuously learning and growing and a place where I am still completely loved and valued. My first year on staff, we did a social justice training before Family Week started. And we facilitated workshops on ablelism, race, racism, and allyship. Being in the position of facilitating rather than participating in these workshops allowed me to look at the content and lessons through a whole new lens. All of this combined with being with seasoned activists and having thought-provoking, unorthodox conversations in Staff spaces it what shook my world. It was the start of me uncovering my life’s purpose. Because of COLAGE, I have and will continue to commit my life to social and racial justice. I’m not exactly sure what that will look like yet, but I know it will be part of whatever work I decide to do. Experiencing COLAGE as a youth and as a Staff member influenced my life in such profound ways. And for that, I am forever grateful.